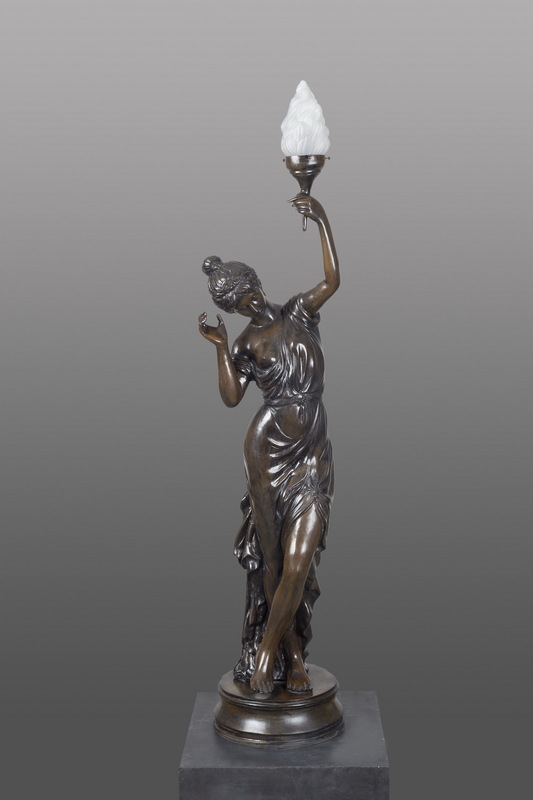 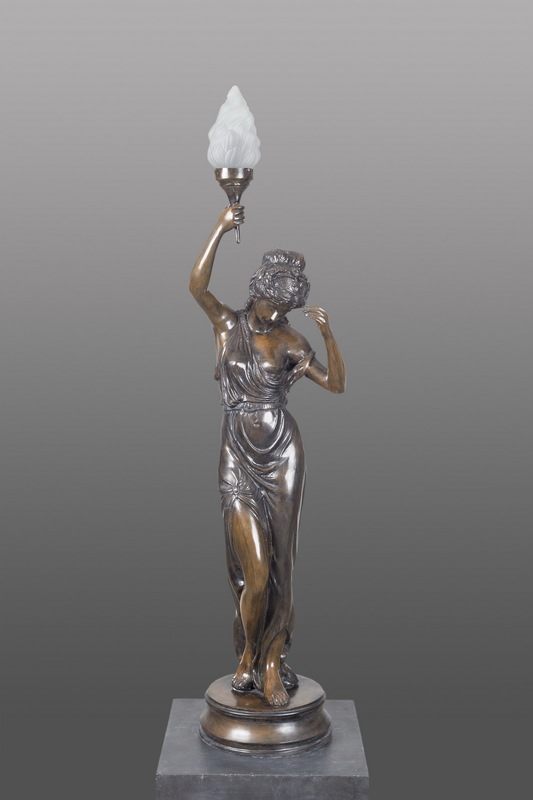 The bronze lighting girls sculpture stands on bronze base with 135cm height excluding the flame design glass armature. 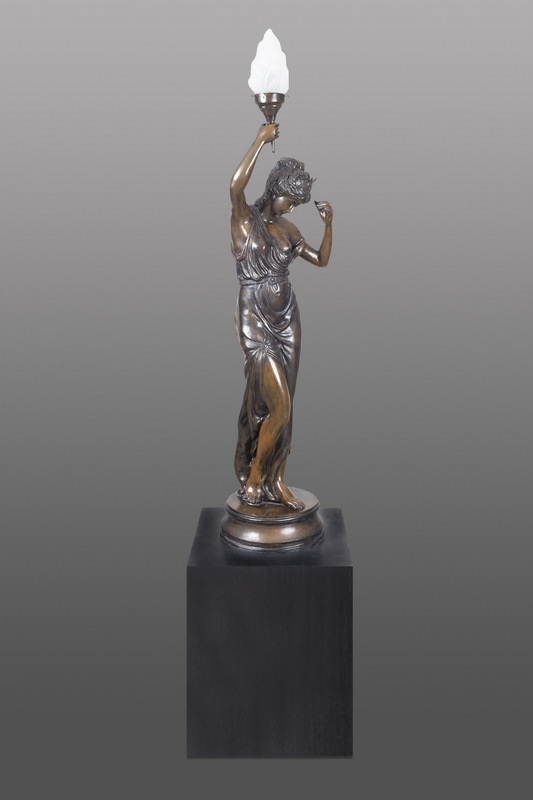 There are variable column designs and patina options that are suitable for this sculpture. 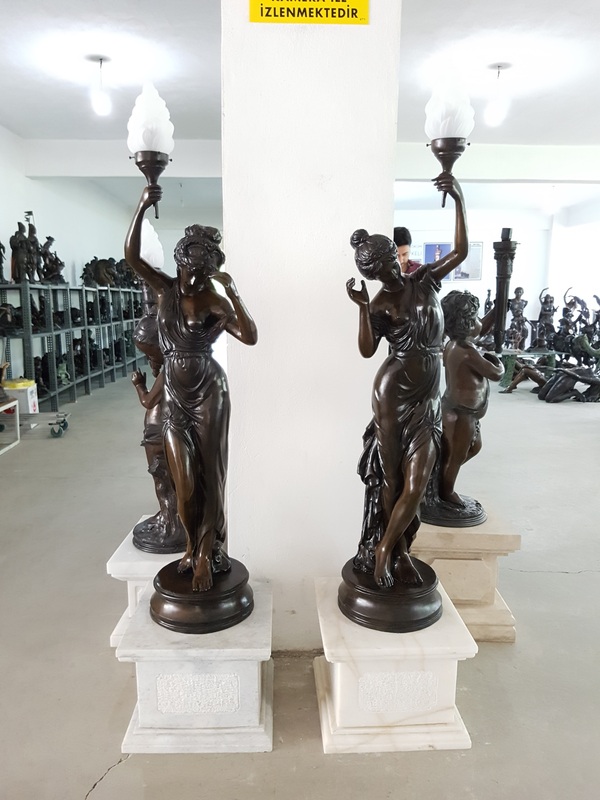 Under normal circumstances we keep stock but in case of stockout condition; the foundry duration of this item is 3-4 weeks.